Alan L. Pitcaithley is the personal injury litigation and trial attorney in the firm's San Diego / La Mesa law office. Mr. Pitcaithley's practice is now devoted entirely to plaintiff's personal injury, wrongful death, premise liability and property damage cases. These cases involve people who have been victimized or killed as a result of vehicle / roadway negligence (car, truck, motorcycle, bike, pedestrian collisions), as well as other persons seriously injured by dangerous conditions on private and/or public property, product/construction defects and intentional misconduct including fraud, civil theft, trespass, assault, battery, sexual harassment, elder abuse, and insurance bad faith claims denial. Mr. Pitcaithley has been an active member of the California State Bar for over 39 years. He is licensed to practice before all State and Federal Courts, all Courts of Appeal and the Supreme Court. During the mid-1980's, for a period of four years, Mr. Pitcaithley worked as legal counsel for a major insurance brokerage and claims adjusting firm where he served as insurance defense counsel for several nationwide insurance companies. From this experience, as well as his prior experience in handling vehicle accident and premises liability cases, in 1989 the emphasis in Mr. Pitcaithley's law practice shifted to plaintiff's personal injury and wrongful death litigation. This practice background gives Mr. Pitcaithley a unique perspective from "both sides of the table" in personal injury cases where an insurance company is generally responsible for payment of the damages. In 1998, Mr. Pitcaithley associated with Attorney Beard Hobbs and together they purchased an office building in La Mesa where they have practiced law for the past ten years. Mr. Hobbs practices in construction law and litigation and has been in practice in San Diego for the past 21 years. In 2001 Attorney William Nolan associated with Mr. Pitcaithley and Mr. Hobbs. 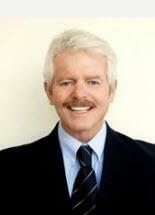 Mr. Nolan has practiced civil litigation and transactional law in San Diego for 26 years. On many occasions, Mr. Pitcaithley will associate Mr. Hobbs and Mr. Nolan in cases that require experienced lawyers who can devote time and effort when the need arises in complex or multi-party cases. Mr. Pitcaithley has achieved an AV rating from Martindale-Hubbell Ratings Service. This rating is the result of peer review ratings attesting to Mr. Pitcaithley's abilities and professional ethics reflect the confidential opinions of members of the Bar and Judiciary. This rating can be verified by going to www.Lawyers.com and typing in the name Alan Pitcaithley. Mr. Pitcaithley majored in Journalism at the University of Oregon where he received his B.A. Degree in 1970. Mr. Pitcaithley received his Doctor of Jurisprudence in the summer of 1976 from Western State University School of Law in San Diego, California (now known as Thomas Jefferson School of Law). Mr. Pitcaithley was admitted to the practice of law in the State of California in 1977. Mr. Pitcaithley is an active member of the San Diego County Bar Association (SDCBA), and the Consumer Attorneys of San Diego (CASD). He is an active member of the Consumer Attorneys of California (CAOC) and past member of the American Association For Justice (AAJ formerly the American Trial Lawyers Association).